The Arlington Regional Master Naturalists proudly announce that on April 21, 2015, ARMN member Mary McLean was named a recipient of the Bill Thomas Outstanding Park Service Volunteer Award for her work in 2014. 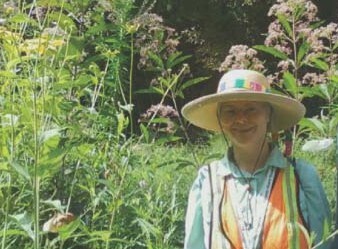 McLean is a steward at Tuckahoe Park in Arlington and her specialty is invasive plants. Since the early 2000s, she has enlisted the help of neighbors, volunteer and school groups, and many others to transform the park and educate them on how to spot a non-native plant species. As a result, Tuckahoe has benefitted from a significant decline in non-native, invasive species, restored health of the native trees, and the return of native shrubs and ground cover. In addition, McLean has also conducted focused tours and presentations on Tuckahoe Park’s underground stream and other ecological wonders to help educate and motivate others to join in the beautification effort. She also has volunteered at and served professionally as the Outdoor Learning Coordinator at Tuckahoe Elementary School. In those roles, she has worked with teachers, volunteers, and students in Tuckahoe Park on restoring habitat, planting natives, controlling erosion, and learning the natural history of the park. McLean has been an active member of ARMN since its formation in 2008. She helped organize the ARMN advanced education program, served on the ARMN Board shortly after its formation, and also supported the ARMN Working Group on Environmental Education. She has been a long-time volunteer with stream water monitoring. 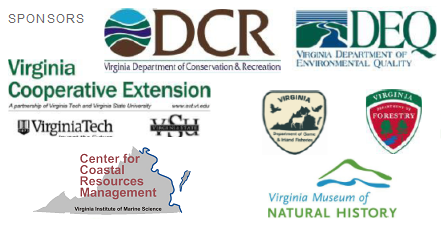 Additionally, McLean currently serves on the board of the Audubon Society of Northern Virginia. (http://environment.arlingtonva.us/trees/support-trees/bill-thomas-outstanding-park-service-volunteer-award/) was established by Arlington County to pay tribute to lifelong parks volunteer Bill Thomas, and to honor and encourage those residents who demonstrate a passionate dedication and support for Arlington’s dynamic programs, natural resources, and public open spaces. This entry was posted in Education, English Ivy Removal, Events, Focus Service Projects, News, Outreach by howellch. Bookmark the permalink.